With so much false scientific information floating around online, how do I separate the truth from the dumpster fires? Is milk bad for me? Is climate change real? Do vaccines cause autism? What’s the latest thing that causes cancer? Should I be eating GMO’s? We see articles that address these questions popping up in our news feeds all the time. They are the cliché cliffhangers for local nightly news programs (think: “What you don’t know about [blank], can kill you - next on News Channel 10…”). They often cite scientific papers as a basis for their “facts”. As a non-scientist, how are you supposed to know what is correct and what is full-of-baloney? Unfortunately, the answer is not simple. But spending a little bit of time to be critical of each of these claims will not only make you a more informed citizen, it will reduce the paranoia that comes with thinking that everything is going to kill you. In order to separate the truths from the complete dumpster fires, you first need to have a basic understanding of the scientific method (Figure 1). Science itself is a way of understanding the world around us by using observations and logic as evidence for conclusions . Science is a process – previous ideas about how the world works are built upon (or disproven and altered) by many new studies and experiments. Over time, a body of theory, or repeatedly confirmed explanations of how something works, is built . Like a house, sometimes we need to add new additions, renovate a small detail (the yellow kitchen would look a lot better in pastel pink), or rarely, we have to demolish the whole thing and build the house from scratch (for example, the “field” of phrenology). Part of the problem is that the same words you would normally use have an entirely different meaning for scientists. 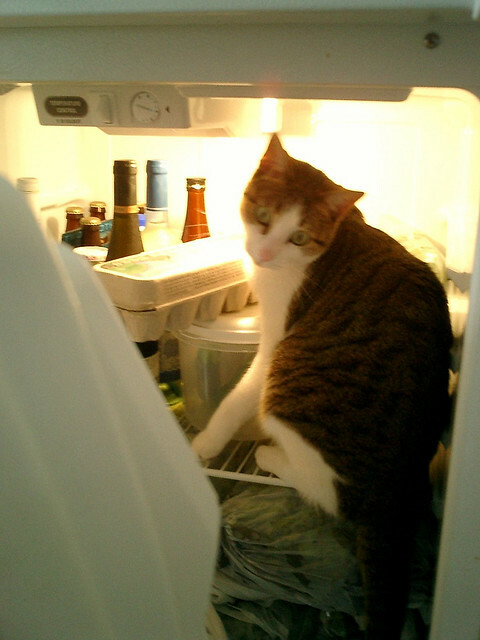 For example, you might say: “I have a theory that my cat might’ve eaten all the cheese in the refrigerator while I was out.” For us scientists, that is not a theory, it is a hypothesis. Let’s say we see no cheese left in the fridge, the door to the fridge is open, and the cat is over in the corner in a food coma. Those are all observations that can lead to our hypothesis that the cat ate the cheese. Only when (1) a thousand cats in dozens of other studies are caught on camera opening fridges, finding, and eating cheese; (2) some skeptical scientists argue that cats don’t like cheese and perform experiments giving cats a choice between cheese and their kibble (but it turns out cats choose the cheese 98% of the time, confirming that they do like cheese), and (3) the Philosophical Society of Cheese-loving Cats is formed and has a symposium called The Theory of Cats Being Devious Cheese Eating Creatures where researchers present their studies, then we can call “cats eat cheese” a theory (Figure 2). While weeding through the garbage, don’t light the dumpster on fire. Here are some handy guidelines for making sure that when your news feed shows you an article on phrenology – or the “science” of bumps on people’s heads determining a person’s intelligence – you can identify it as the blazing-dumpster-fire-of-a-field that it truly is [3,4]. Source. Source. Source. Where is this article coming from? Can you find another article about it from a well-known and trusted news source? Does this source have an agenda? That’s not always a bad thing, but keep the agenda in the back of your mind as you’re reading the article, and be skeptical. What is the article referencing? Does the article cite scientific papers in well-known peer-reviewed journals (Science, Nature, PNAS, etc.)? Is the scientist from a well-known University or research facility, and has a Ph.D. or M.Sc.? Is it about just *one *study, or many? Always be wary of articles that make huge claims from just one study–that’s not how science works. Extraordinary claims require extraordinary evidence. If the article claims that Congress has been taken over by Lizard-People (as 12 million Americans believe), there better be a consensus in the scientific community that Lizard-People even exist. A good first place to investigate is www.snopes.com, a site that tends to be good at filtering the rumor mill. Is the claim even “testable”? Science can only explore things that can be disproven by evidence (a.k.a. falsifiable). If something is impossible to disprove, it is not in the realm of science. Is there a scientific consensus or is this idea on the “fringe”? This is difficult for the layperson to figure out, but one can get the gist of this by some googling. Try to find some (real) University websites that talk about the theory. Google the author of the original paper – does their website look like it’s from the 90’s, asks for donations to benefit the Society for the Advancement of Lizard-People Awareness, and links to the tin-foil hat club? What does the Wikipedia page have to say? What do other scientists have to say? This won’t be a guarantee, but you should often be able to figure out if the article is complete garbage. READ before you post. Fake News in particular plays into your emotions, validates your own opinions, and acts like a virus that spreads rapidly through sharing. Even if you passionately agree with the premise of the article, don’t share to your friends until you’ve validated it as factual. If you fail to do this, you’re no better than that guy that sneezes on a crowded train without covering his mouth – no scratch that – you’re much much worse. If you’re a proficient computer user, all this could take you five minutes. Your friends will thank you for your diligence, and you will become the master of the internet. Well, maybe not, but you won’t be spreading the virus that is Fake News, and you will be a more responsible consumer of media. On behalf of scientists everywhere, thank you for paying attention, and best of luck navigating the dumpster fires of the internet (Figure 3) to find real interesting science articles from trusted sources like www.thatslifesci.com! “What is science?” Understanding Science. University of California – Berkeley. Accessed February 01, 2017. http://undsci.berkeley.edu/article/whatisscience_01. “Scientific theory.” Dictionary.com. Accessed February 01, 2017. http://www.dictionary.com/browse/scientific-theory. “TEDx’s Guide to Spotting Pseudoscience.” Ultraculture. February 19, 2016. Accessed February 01, 2017. http://ultraculture.org/blog/2012/12/11/tedxs-guide-to-spotting-pseudoscience/. « Tracking the lost years - where do baby sea turtles grow?